The Tour moves to the TPC Summerlin Club in Las Vegas for the Shriners Hospitals for Children Open. 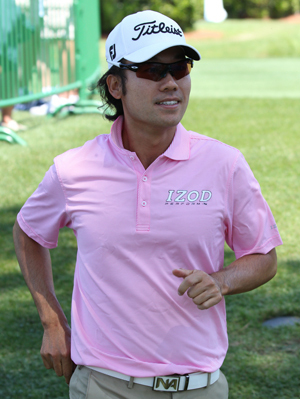 Kevin Na 33/1 is a past champion here winning the event back in 2011. He put up a good defence of his title making the Top 25 the following year. He also has a Top 15 finish here in 2008. 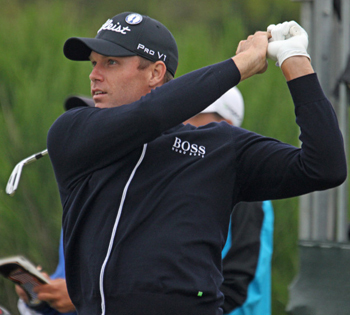 Kevin comes into this week in great form finishing strongly in the Frys.com Open last week to take make the Top 5, firing a final round 64. Not many players win back-to-back tournaments, but I am going to stick with Jimmy Walker 33/1 again this week after his great performance at the Frys.com Open. Jimmy had a Top 10 finish in this event last year firing a final round 73, which saw him drop six places. As I said last week Walker finished his 2013 FedEx Cup season with a Top 15 at the BMW Championship at Conway Farms and I can only see him keeping that good form going after last week’s finish. It was a shame that Robert Garrigus 40/1 couldn’t go low in his final round at the Fry.com Open where he started the last day in a Top 5 position, but it does show that Robert’s game is in good enough condition to get him into a position to challenge. Garrigus has had several Top 25 finishes at this event, his best being a third place finish back in 2007 and with the form he comes into this week I can see him challenging again this week. George McNeill 50/1 is another past champion here winning the event back in 2007 when it was known as the Frys.com Open, he didn’t do so bad in last weekends Frys.com making the Top 10. But George seems to bloom when he tees it up at the TPC Summerlin track. He had a runners-up finish in 2009 and another Top 15 finish a year later and with the form he is in coming into this week, I think he will do well again. I am going to have three each way tips this week, mainly because I think Martin Laird 50/1 represents very good odds for the Scot. Martin is not only a past champion here winning this event in 2009 but he followed that victory up with a runners-up finish defending his title.